Wanting to be a writer, Toffler took an unconventional path. Noting “Steinbeck went to pick grapes” and “Jack London sailed ships,” Toffler got a job as a welder to learn about work, and it opened his eyes. A self-trained sociologist, Toffler saw a bigger picture, and started formulating a theory of social upheaval. By the time he was done he had a book: 1970’s Future Shock. “No serious futurist deals in ‘predictions’,” Toffler wrote in the book’s introduction. 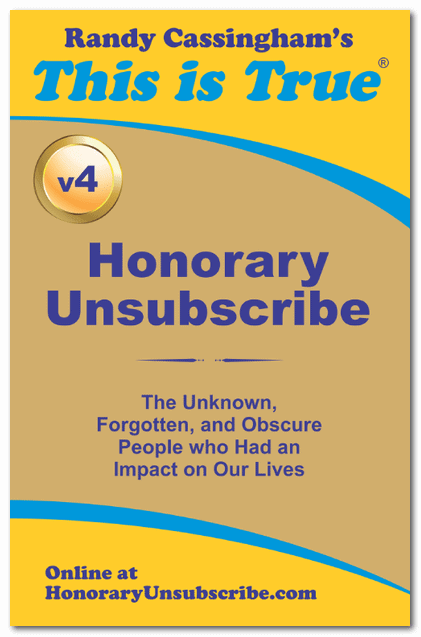 “These are left for television oracles and newspaper astrologers.” Rather, he sought to clarify the present and see what changes might lead to. For instance, Toffler extrapolated that what he was seeing in blue-collar work as he toiled in a factory would lead to jobs being taken over by machines, and then the jobs would move overseas. He also saw changes coming to society in general, and the family unit in particular. Individuals would want to stand out more, he thought: he even suggested people might try to stand out with such outlandish things as coloring their hair “odd” shades, like blue and purple. The book was a massive best-seller. He said several emerging trends at the time would intensify, such as increased use of renewable energy, and that computers would drive a massive information age that would favor knowledge workers over factory workers. The book, which is still in print, sold millions of copies, and became the foundation of a trilogy (The Third Wave followed in 1980, and Powershift in 1990). But he cautioned that not every specific thing he suggested would prove to be correct. Readers should “concern themselves more and more with general theme, rather than detail.” That theme he pounded home was that “the rate of change has implications quite apart from, and sometimes more important than, the directions of change.” Still, he said later, he thought smaller would win out over larger: smaller governments, smaller enterprises. The European Union, for instance, “still believes bigger is better,” he said in the late 1990s. He believed that small, flexible companies would rule the “micro-markets” of the future. Toffler died in his sleep June 27. He was 87. 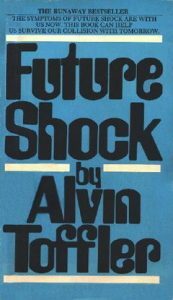 Author’s Note: I wrote about Toffler’s ideas in my blog at the end of 2014: Changing to 2015: Future Shock.